Discover Egypt’s most illustrious ancient sights in this classic, 9-day Nile adventure from Cairo. Spend two nights in Egypt’s capital and visit the Great Pyramids, Sphinx and Egyptian Museum before catching the sleeper train to picturesque Aswan. Enjoy an optional trip to incredible Abu Simbel, take a traditional 'felucca' sailboat cruise on the Nile, and stay in Luxor two nights to explore its East and West Bank antiquities. 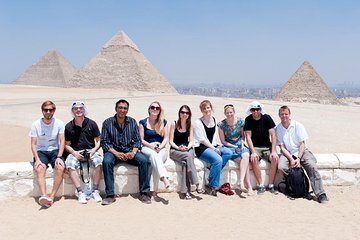 Finish with a free day in Cairo to explore independently or enjoy optional tours. Hotel accommodation, transport and daily breakfasts included.